Dubrovnik DMC – Best Venues & Activities for your Events. 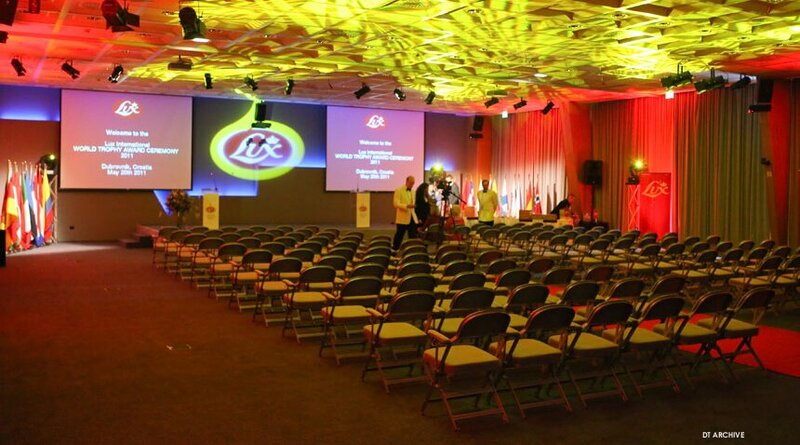 The MICE potential in Dubrovnik, Unique Events a la carte. Dubrovnik is a UNESCO listed World Heritage site. This unique city offers a wide variety of hotels, venues, activities and shore excursions all centralized around this beautifully preserved medieval walled city. Nestled below green foothills and surrounded by crystal clear waters the historic Old Town of Dubrovnik is the Best focal point of this region. Compact in size and easily accessible, the city offers six 5 star hotel properties within walking distance of city center, limiting the need for bus transfers to a minimum and perfect for Meetings in Dubrovnik. The remaining four and five star properties are only a short distance away leaving transfer times less than 15 min. 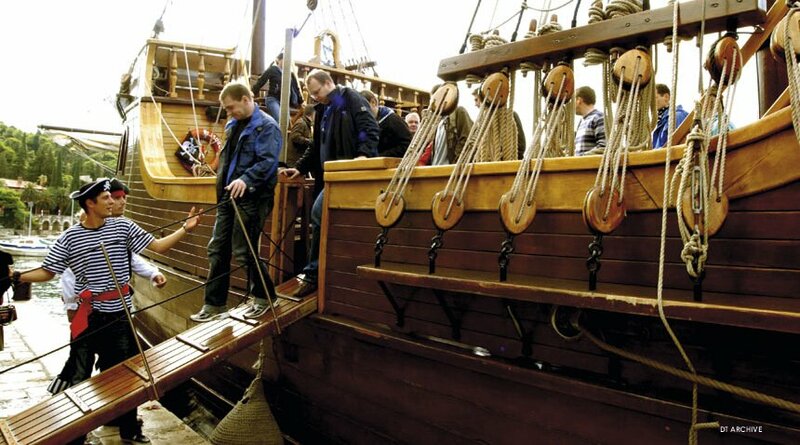 Several Dubrovnik hotels have their own piers enabling unique sea-transfer opportunities including transfers into the Old City with the event boat and historical replica ship; the Galleon Tirena. Historic venues captivate all visitors, transporting them back in time to the Dubrovnik Republic, which rivaled Venice in its maritime powers and skilled diplomacy. 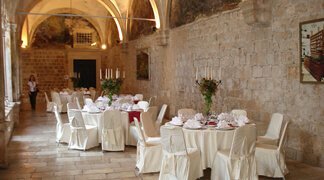 The City walls encompass restored fortresses, monastery atriums, open air terraces and other prominent public buildings now housing a wide range of special venue experiences. Best of these include such highlights as Revelin and Lovrijenac forts, Franciscan Monastery, Klarisa and Arsenal Restaurants, not to mention other famous restaurants such as Nautika, Proto, Dubravka, Ragusa etc; all with their specific charm. Dubrovnik venues outside of the Old City are also highly influenced by the City’s rich history and include the Art Gallery, Event ship and the summer residences along the coast. The versatility and authenticity of these venues allow a variety of dining experiences which can be themed and accompanied by corresponding entertainment and therefore can supplement any type of Event in Dubrovnik. Diverse Activities are also offered both in the city center and in the surrounding hinterlands. Explore the “Pearl of the Adriatic” which became an important Mediterranean Sea power from the 13th century, with your guide or obtain a better understanding of local tradition and architectural details while participating in a unique city hunt. A group can take part in a painting class on the city walls, later exhibiting their masterpieces in one of the local palaces or obtain a unique perspective of the City by viewing it from the nearby cable car and hill top observatory or even sea kayaking below its famous walls. 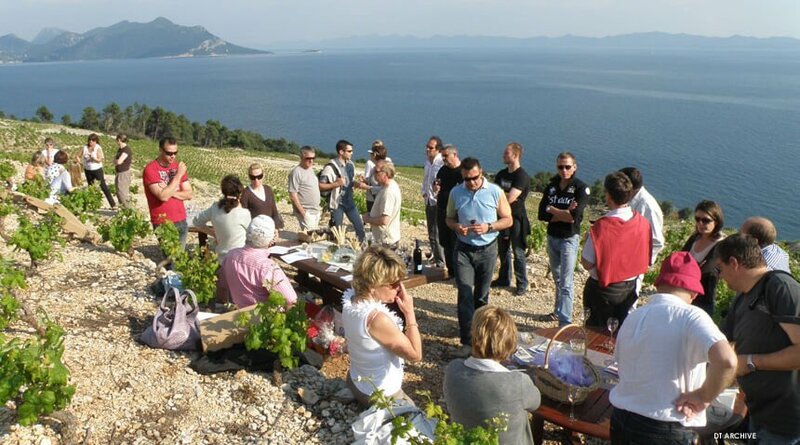 The hinterlands to the south offer green pastures and variety of active programs such as jeep safaris, local product tastings and Dubrovnik team building programs. 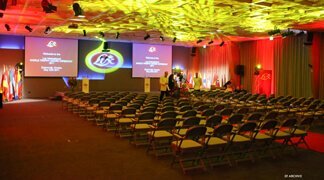 DT Croatia – DMC Dubrovnik is your perfect host! Explore the wealth of Dubrovnik‘s history and wander with your guide the wide marbled pedestrian Placa boulevard, taking in the breathtaking sights, experience delicious local products served on one of the open terraces in the Old Town, wine or liquor tasting or have a privatized concert in one of the most beautiful churches in Dubrovnik. See the city from a bird’s eye view, visit the top of the Srđ hill with the cable car and be amazed with the breathtaking views of the Old City of Dubrovnik, the crystal clear Adriatic Sea, and the numerous islands. Have an sunset aperitif with a violin player before descending to the Old City for a dinner in one of the renowned restaurants. 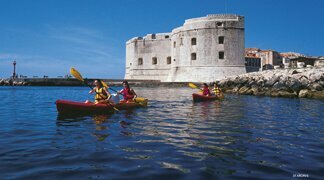 Explore further memorable Dubrovnik Activities. Set sail to the unspoiled nearby Dubrovnik Elaphite archipelago, a cluster of islands dotted with pine forests, rustic villages and idyllic bays. 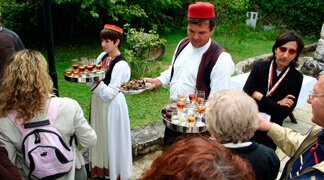 Sip native Prosek wine and nibble locally produced snacks while being serenaded by a Dalmatian trio. On Sipan Island, the largest island of the Elaphite archipelago, visit the summer home of Dubrovnik’s nobility. The island, with its summer residences for the aristocracy of Ragusa, is the ideal location for exploration. Discover the inside of the island during a bicycle tour with its olives, figs, carobs, almonds and lemons trees.Sail to the second island, Lopud, for lunch at a seafront restaurant with panoramic views and indulge in an impressive selection of freshly caught seafood. The island is covered by lush Mediterranean vegetation, olive groves, vineyards and citrus fields. Enjoy some time at leisure to explore the island, or a privatized concert in one of the churches on the island or a refreshing swim at one of the island’s sandy beaches. Konavle, the southernmost area of Dubrovnik, is a fertile valley with olive trees and wineries encircled by the mountains of Bosnia Herzegovina, Montenegro and the Konavle cliffs at the seaside. During centuries the Konavle region kept its outstanding qualities: its living traditions, customs, handicrafts, economy, folklore, beautiful folk costumes and the hospitality of the people. This versatile region can be discovered by bus, minibus, jeeps, atvs, rent-a-cars, bicycles. Visit centuries old mills to see flour and olive oil production and taste the delicious results. Stop for a ‘Peka’ lunch of lamb and veal backed under the iron bell! Most gourmets attest that dishes made under the „Peka“(bell) are at the very top of the braise cuisine. A folklore dance troupe provides the perfect ambience with coffee and cakes are served in a typical Konavle home. North of Dubrovnik, natural beauty on Pelješac still stands against commercial and urban values. That’s why we say that Pelješac is the place where nature – is still nature. The peninsula has preserved is purity and natural Mediterranean beauty.There are beautiful sights of hills and fields, endless wine yards on the slopes of Dingač and Postup, where the production of the best Mediterranean red wines takes place. The little fishermen town, MALI (small) STON, called the capital of the Croatian oysters. In the small village you will take the boat to visit the oyster beds and taste the delicious oysters and mussels of the region with a glass of wine. The bay of Mali Ston is especially interesting, carved between the peninsula and the mainland, a preserve of underwater life, the site of oyster and mussels, quality fish farming. City Hunt- sightseeing of Dubrovnik in a different way, is an inter-active game to find out more about history, culture and legends that Dubrovnik has to offer. Other interesting team building activity includes preparing a dinner together with team members in the typical Konavle house, competing with other teams.For adventure seekers ideal are jeep convoys taking different roads and instructions and competing to get to the mutual goal. 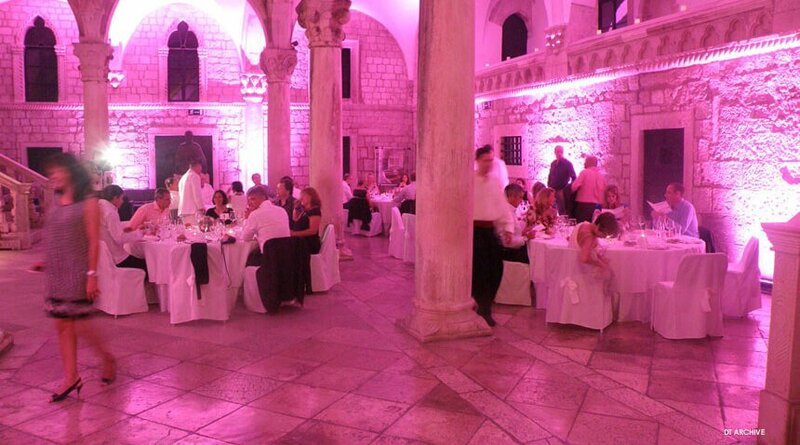 Dubrovnik offers numerous possibilities for orchestration of evening programs. Guests can enjoy in tailor made solutions, on land or sea.Sunset cocktail cruise on the event ship; gala dinner in one of the city forts overlooking the sea, or in modern restaurants, flavored with special entertainment program. 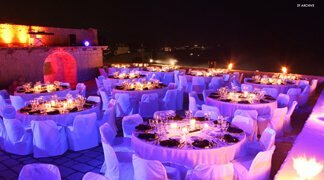 Evenings can be organized as formal or informal trendy events on the beach, combining the exquisite cuisine with spectacular view of the sea and night stars. 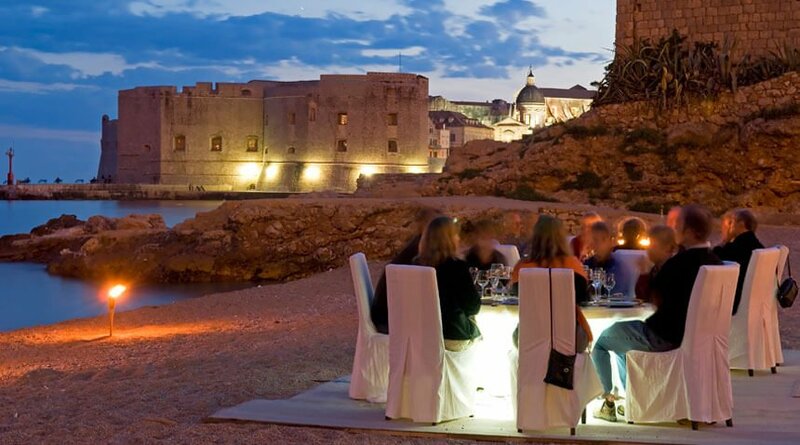 In whichever Venues in Dubrovnik you may choose, an evening program offering the tastes and aromas of the South Mediterranean are bound to awaken magic in you. Traditional – Get a glimpse of traditional flavors of the Dubrovnik Region. 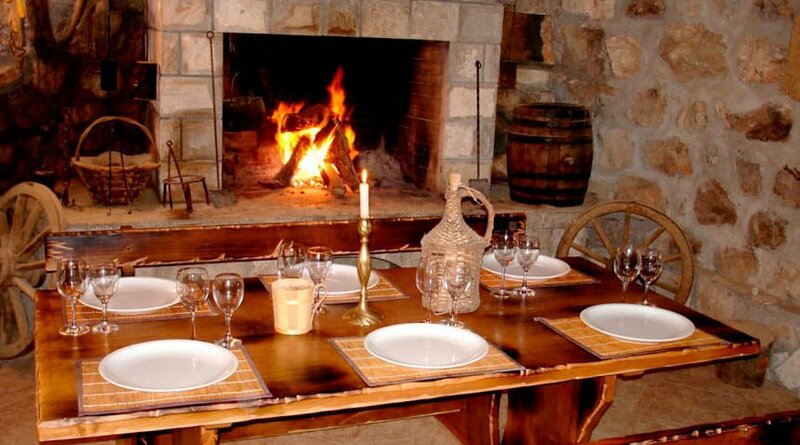 Venture off to the nearby Konavle countryside with its many traditional „konobas“ and family houses where guests are able to experience the traditional cuisine of the area including: homemade smoked prosciutto, cheese, olive oil, roasted lamb & veal with potatoes. Learn to prepare local dishes while participating in a private Cooking class at one of these authentic locations. Add a typical Dalmatian Trio singing songs and playing guitars and mandolins to the meal and make this a day to remember. Classical– Iconic to the city of Dubrovnik with their long history of quality of food and service, they very often housed in historical places that have been adapted to become top-notch restaurants. For example enjoy an evening in a former Nautical Academy of Dubrovnik or Monastery Cloister. All perfect settings for highlighting the unique charming ambience that Dubrovnik has to offer. Modern – Showcasing what Dubrovnik is emerging into, that is, a very international and chic destination with variety of cuisine for every palate: from fusion to oyster & sushi bars. Many of these restaurants have lounge bars as well making the segway from dinner to after party seamless. 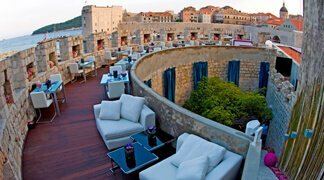 Dubrovnik being the well preserved UNESCO walled city that it is, has no lack of great historic places that can be used for a variety of Events including cocktails, presentations and dinners. Fortresses – The Old City of Dubrovnik is completely enclosed by impressive city walls as high as 25m in some parts with dominating defense Fortresses which were originally built on each of the four corners of town. Formerly used for protecting the town from invaders they are now symbols of freedom and lend themselves for special events with some of the most unforgettable views that the city has to offer. 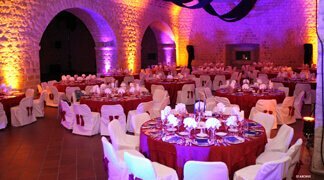 With the right additional effect lighting these venues can be set to highlight their medieval charm or can be transformed into more fresh and modern venues depending on the organizer’s needs.Capacities from 75 to 500 pax. Palaces- The many former Gothic and Renaissance Palaces of the cities nobility have been given new functions and have been transformed into state archives, museums and hotels all available for hosting private events. 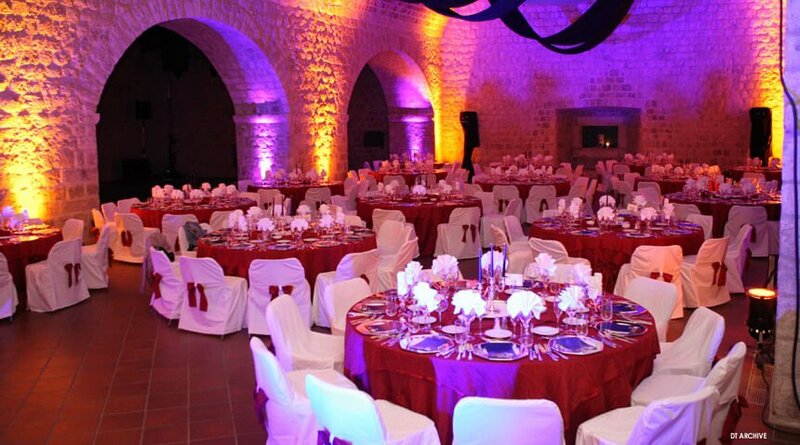 Due to their stone construction they are well known for their amazing acoustics and are a perfect settings for a memorable Klapa Concert (Traditional A cappella music from the Dubrovnik Region) during a gala dinner or cocktail.Capacities from 25 to 250 pax. Theatre of Dubrovnik- This stunning theatre dating from the early 19th century , built during Austrian Rule is located in the heart of the city and is perfect for concerts, award ceremonies, and presentations for up to 300 pax. An additional feature of this hidden jewel is that central seating can be removed and the area used for a gala dinner with entertainment. Galleries– Dubrovnik, being a long time mecca for Artists, is full of private ateliers, galleries and other artistic venues where private visits or events can be staged. 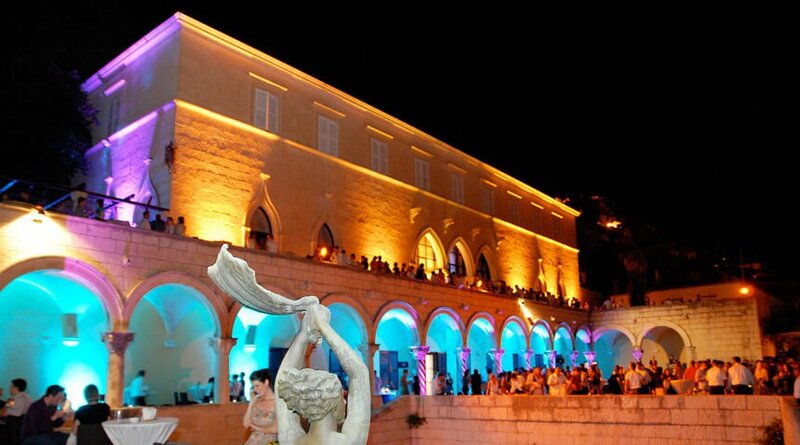 One of the most significant is the Modern Art Gallery with breathtaking views of the Old City of Dubrovnik, as well as a multifunctional space that can be used for catered dinners, product launches or other events. 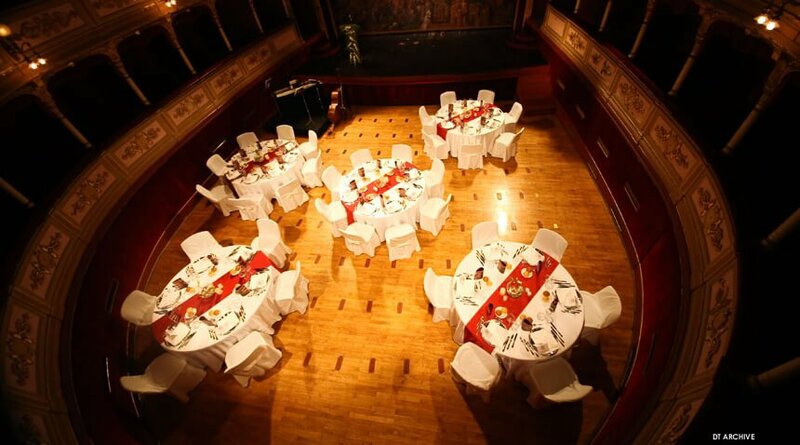 Capacity for a seated dinner is 250 pax, or a 700 pax for a cocktail party. Ships– Seaborn Dubrovnik venues ranging from the historic to modern are all perfect ways for groups to enjoy the Adriatic Sea. Historical Replica Ships, the Event Ships as well as yachts and seaplanes are a great way to explore the nearby Elafiti islands. 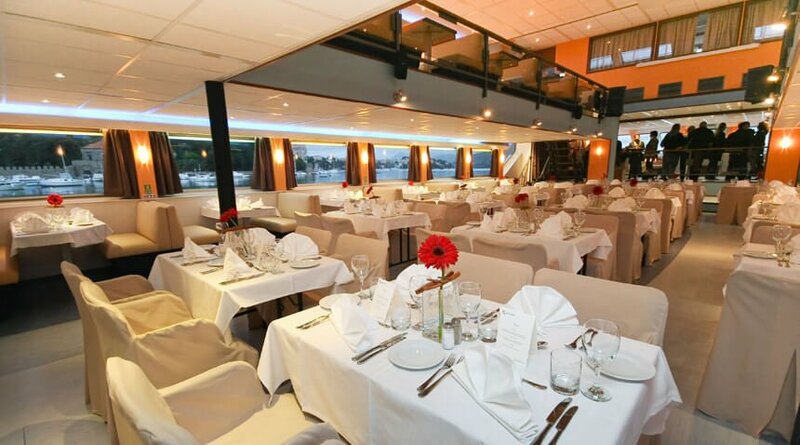 Groups can enjoy a cocktail cruise or dinner while sailing past the Old City of Dubrovnik ending a tour with a spectacular fireworks show. Beaches– From Robinson Cruesoe type Bays for casual private lunches to Summer Castles for a sophisticated lunch or fun teambuilding programs, the nearby Elafiti Island Archiapelago provide unforgettable seaside venues. For those just looking for a relaxing day or evening, the Islands have a variety of beautiful seaside terraces and former Villas, sandy beach where a BBQ or party or day of sunbathing & watersports can be arranged. For those that want the beach experience without having to sail out the Elafiti Islands, the Beach Club in Dubrovnik is a perfect solution. 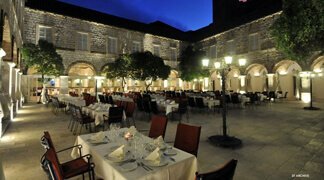 In the past 5 years Dubrovnik has made substantial improvements to its meeting facilities with newly renovated hotels and meeting venues. From small boutique hotels with meeting spaces perfect for board meetings to Large Conference Hotels equipped to handle International Congresses for up to 1000 pax in theatre style.